The most crucial game of the last round was the first loss of Club Force (3-1) at the home court on Thursday night. Hosts were defeated by ELOHIM (4-1) 67-51. It ended at the same time the three-game winning streak of Club Force. It was a key game for the top position in the league. Guard Jose-Joaquin Ortiz (180-78) fired 17 points, 7 rebounds and 6 assists for the winners. point guard Pablo Cano (178-88) chipped in 14 points, 5 rebounds and 5 assists. 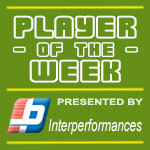 Forward Hector Chur (179) produced 23 points and 8 rebounds for lost side. ELOHIM keeps a position of league leader. Club Force at the other side dropped to the third place with one game lost. ELOHIM will have a break next round, and it should allow them to practice more before next game. Club Force will play on the road against Amatitlan and it may be a tough game between close rivals. The game with biggest result difference took place in Guatemala. 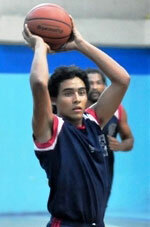 Local USAC (3-0) outscored 6th ranked Villa Nueva (2-3) 74-54. Worth to mention a great performance of guard Mynor Aquino (175-89) who helped to win the game recording a double-double by scoring 16 points, 10 rebounds, 7 assists and 6 steals. Miguel Gonzalez contributed with 13 points, 6 rebounds and 4 assists for the winners. 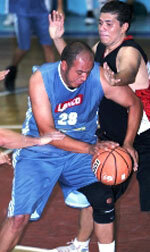 Enrique Samayoa (193-82) replied with a double-double by scoring 13 points and 14 rebounds for Villa Nueva. Both coaches used bench players which allowed the starters a little rest for the next games. USAC have a solid three-game winning streak. They moved-up to second place. Villa Nueva at the other side keeps the sixth position with three games lost. USAC will have a break next round, and it should allow them to practice more before next game. Villa Nueva will play against La Villa (#10) and hopes to get back on the winning track. The most crucial game of the last round was the first loss of Club Force (3-1) at the home court on Thursday night. Hosts were defeated by ELOHIM (4-1) 67-51. It ended at the same time the three-game winning streak of Club Force. It was a key game for the top position in the league. Guard Jose-Joaquin Ortiz (180-78) fired 17 points, 7 rebounds and 6 assists for the winners. Point guard Pablo Cano (178-88) chipped in 14 points, 5 rebounds and 5 assists. Forward Hector Chur (179) produced 23 points and 8 rebounds and center Olaverr Camacho (198-1) added 11 points and 16 rebounds respectively for lost side. ELOHIM keeps a position of league leader. Club Force at the other side dropped to the third place with one game lost. ELOHIM will have a break next round, and it should allow them to practice more before next game. Club Force will play on the road against Amatitlan and it may be a tough game between close rivals. The game with biggest result difference took place in Guatemala. Local USAC (3-0) outscored 6th ranked Villa Nueva (2-3) 74-54. USAC dominated down low during the game scoring 50 of its points in the paint compared to Villa Nueva's 30. USAC forced 23 Villa Nueva turnovers. Worth to mention a great performance of guard Mynor Aquino (175-89) who helped to win the game recording a double-double by scoring 16 points, 10 rebounds, 7 assists and 6 steals. The former international swingman Miguel Gonzalez (187-90) contributed with 13 points, 6 rebounds and 4 assists for the winners. Five USAC players scored in double figures. Enrique Samayoa (193-82) replied with a double-double by scoring 13 points and 14 rebounds and naturalized American power forward Freddy Fernandez (197-92) added 13 points and 9 rebounds in the effort for Villa Nueva. Both coaches used bench players which allowed the starters a little rest for the next games. USAC have a solid three-game winning streak. They moved-up to second place. Villa Nueva at the other side keeps the sixth position with three games lost. USAC will have a break next round, and it should allow them to practice more before next game. Villa Nueva will play against La Villa (#10) and hopes to get back on the winning track.